I've got a Macbook Pro 15" (2017) with a BenQ SW271 connected via USB-C. I've calibrated both using a Spyder 5 Pro, and straight off the bat after calibrating the BenQ felt that it was leaning towards a green cast. Compared with the Macbook's screen, it's certainly much colder looking. The BenQ screen is calibrated using Palette Master Elements, and I've done so using any tutorial and informative texts I can find. The Macbook is calibrated using Spyder's own software. 1) I do realize that I'll be hard pressed to have the two displays look exactly the same, but the difference here is causing some serious eye strain. Should they not at least look in the same ballpark when calibrated with the same sensor, albeit different software? Shouldn't the RGB of bright white align? It feels to me like the factory calibration is better than my Spyder calibration results in. Each software is getting data from the same sensor and then using different algorithms to interpret the data received from the sensor. This is how opening the same RAW image with different RAW editors will produce different images on the same monitor. Shot in raw so who cares though? 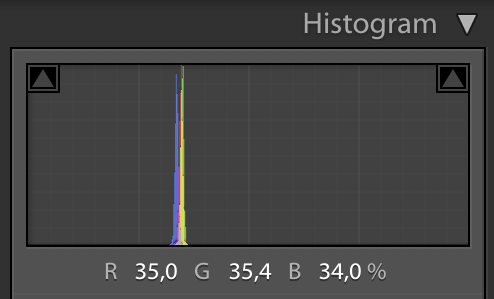 Raw files only contain monochromatic luminance values for each photosite (pixel). 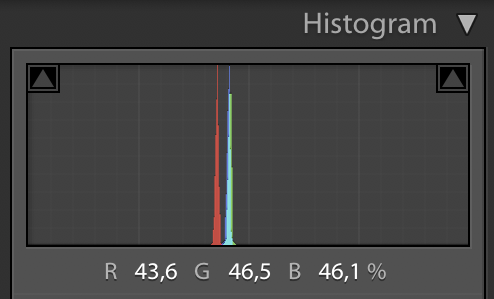 Whatever your histograms are showing is from a demosaiced version of the raw image file. The color channel multipliers used in that conversion to color will affect how the histogram looks with regard to each color channel. Even if you set the camera's color temperature to the same color temperature as that to which your monitor was calibrated, any variation from the solid white spike you expect could just as well be caused by inaccuracies in your measuring device (that is, your camera's sensor and its image processing pipeline) as it could be from the monitor's actual miscalibration. Not the answer you're looking for? Browse other questions tagged color-management display-calibration or ask your own question. Is there a Benefit Getting a Colour Managed Monitor when you work in 8-bit Colour? 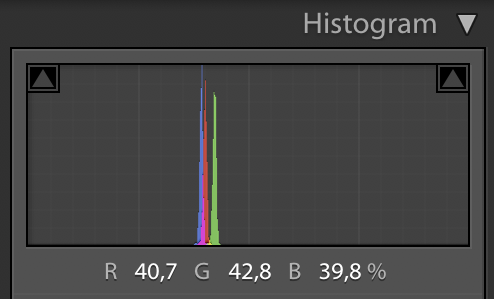 Why do JPEGs only look right when exported from Lightroom in sRGB color space? What is the relationship between ICC profiles and the color modes of my wide-gamut monitor?